RACK N Roll is a Family Entertainment Center for Children and adults of all ages. We have over 100 different video games and some pinball machines too. 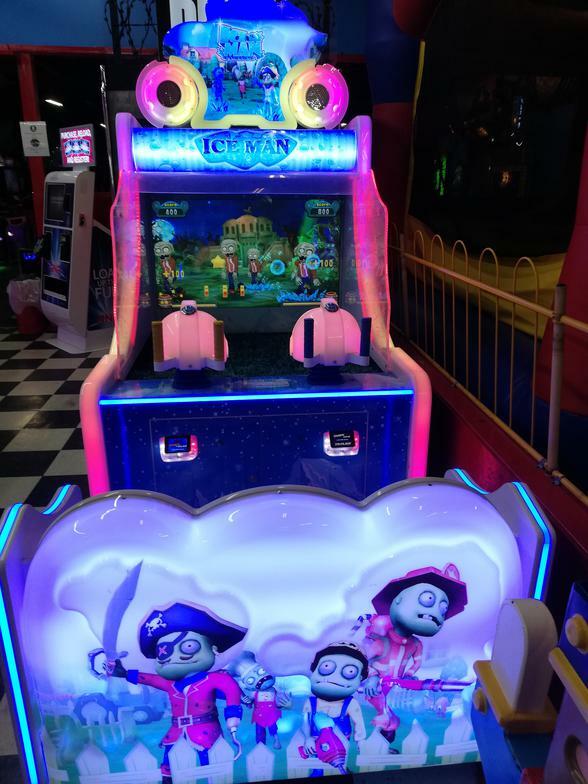 There are also many kiddie rides as well as other attractions. 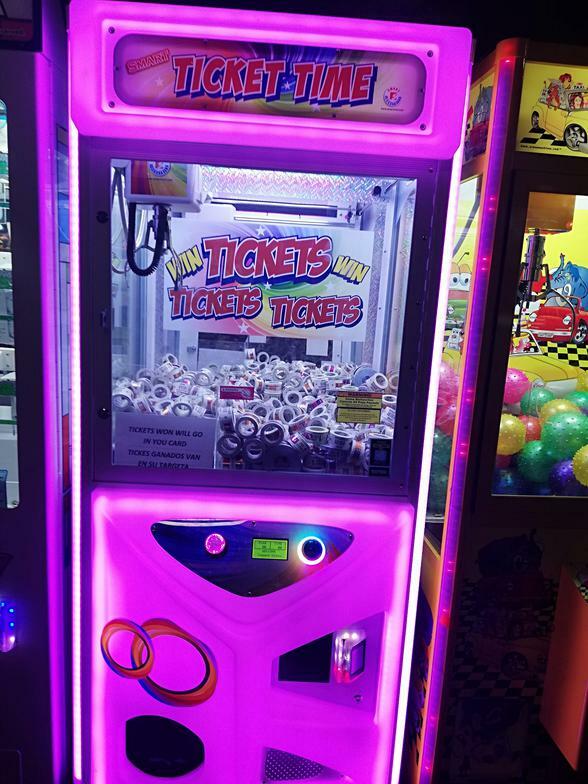 Many of our games give points which can be redeemed for prizes at our redemption center. We have a lot of different kinds of food in our food center which include items such as our Signature Rack N Roll Hot Dogs and Burgers, pizzas, nachos and cheese and our specialty, delicious ice cream cones starting at just $1! (click on our "Menu" link above to see our complete list of prices for all our food items. There is a large party room for birthday parties for people all ages. For details please click "Parties & Rates"
A large area in the back of Rack N Roll is devoted to billiards (AKA pool). Here we have many large 9 foot table. Click on the "Billiards" to see our pool table rates and other information about our billiard area. 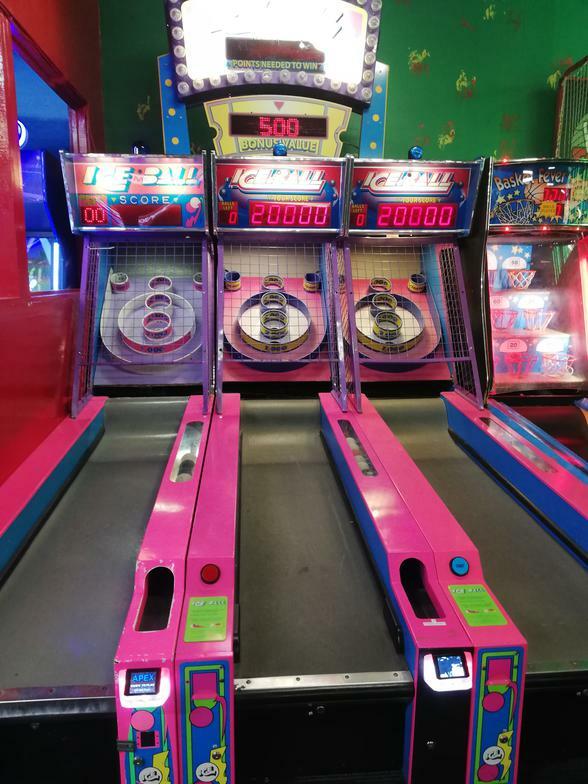 RACK N ROLL is a great place for children of all ages to run, jump, climb, and play on the games and many attractions RACK N ROLL has to offer. Our location is a fun center for the entire family, where children and adults come and play together.